Republished on the occasion of the grand opening of the YSL Museum in Marrakech, Yves Saint Laurent—Icons of Fashion Design / Icons of Photography remains the most attractive homage to the uncrowned king of haute couture. 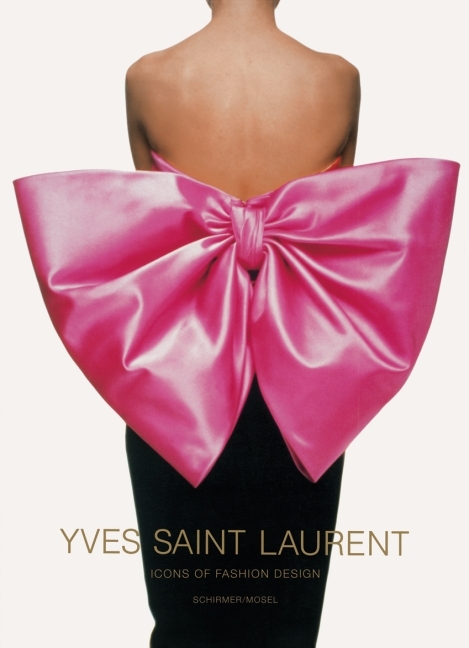 It celebrates the triumph of the YSL design captured by the world‘s best fashion photographers in pictures that were style-setting themselves. With a poetic and personal literary introduction by Marguerite Duras. Schirmer/Mosel. With a foreword by Marguerite Duras. 232 pages, 135 plates in colour and duotone. Size: 19.8 x 27.5 cm, hardcover. English/French/German edition.